This is a companion book to Mary Alice Monroe's adult novel, Swimming Lessons, (Mira), the sequel to The Beach House. In the novel, the readers witness a young mother, Toy, writing a journal for her daughter, Little Lovie. 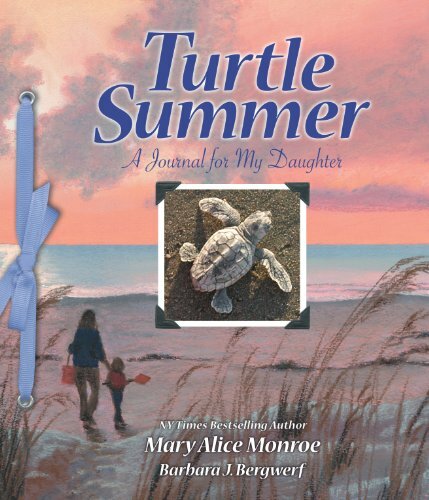 Turtle Summer: A Journal for my Daughter is the journal Toy is writing. Using original photographs, this scrapbook journal explains the nesting cycle of sea turtles and the natural life along the southeastern coast, including local shore birds, shells, and the sea turtle hospital. Adults and children will enjoy the images, information and journal with or without the novel. If you have any questions about this product by Sylvan Dell Publishing, contact us by completing and submitting the form below. If you are looking for a specif part number, please include it with your message.